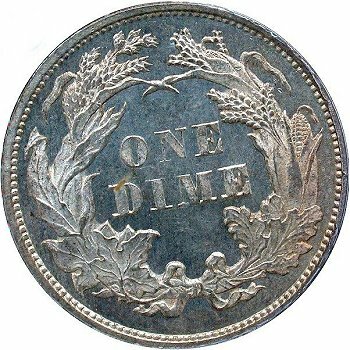 Comments: This is the only example of an 1873 Closed 3 dime that I have seen with repunching in the loops of the 3 digit. 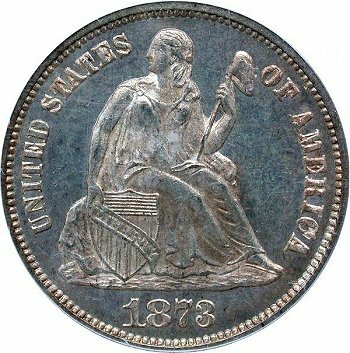 Therefore, I am associating the repunching on Obverse 4 with the Greer 102 listing. 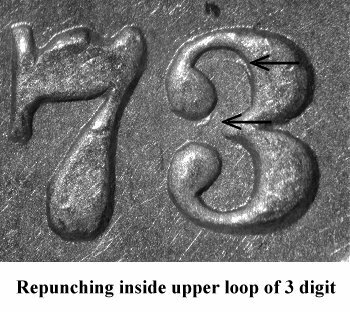 The repunching of the 3 digit is visible directly below the top upper loop. There is additional repunching under the upper ball of the 3 digit. 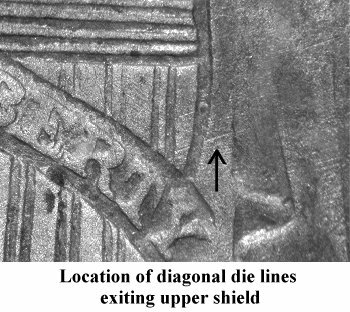 Additional diagnostic points are found in along the right shield edge. 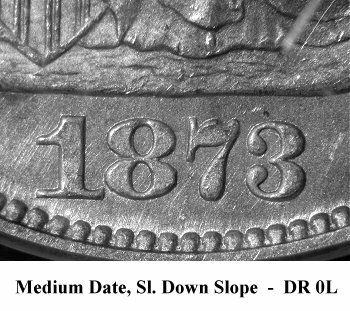 There are a series of parallel diagonal die lines exiting the shield and into the gown. 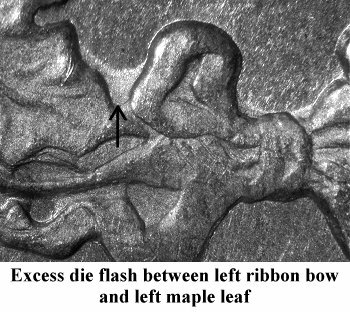 On Reverse D, there is a large section of die flash between the left ribbon bow and the left maple leaf in the wreath. It is atypical to see die flash on only one side of the ribbon bows.